Operating Model Canvas – Aligning operations and organization with strategy is the title of the latest book of Andrew Campbell, Mikel Gutierrez, Mark Lancelott. The look and feel is very much like the Business Model Generation handbook from Alexander Osterwalder, Yves Pigneur Alan Smith, Patrick Van der Pijl and Tim Clark. I this book review I will get you through the Operating Model Canvas book structure, the Operating Model Canvas Toolbox and compare it with the Business Model Canvas and Process Model Canvas. Finally I will give a business analysis view on the Operating Model Canvas. 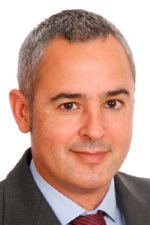 Operating Model Canvas a book for Business Analysts? I would like to start with a formal definition of an operating model, before I will cover the structure of the book. 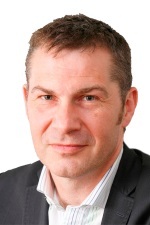 Andrew Campbell has even a more simpler definition: “An operating model is a value delivery chain: a sequence of steps that describe the main work of the organisation.” The definitions are from the “What is an operating model?” article on the Operational Excellence Society. The first operating model definition has a lot of similarities with the Business Model definition from Alexander Osterwalder. In the later sections you will see these similarities perfectly make sense. 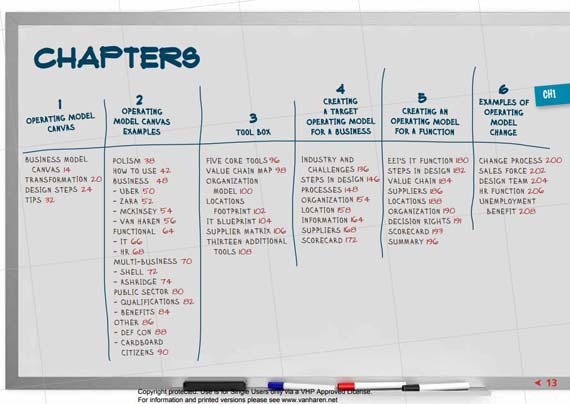 The Operating Model Canvas book has a very clear outlined book structure in six chapters below. This high level overview directly shows the mix of theory and application with practical examples. A more detailed overview of the individual book chapters can be seen in the picture below. Just like the Design a Better Business the Operating Model Canvas comes with a huge set of practical and actionable tools. Roughly 25-30 tools that can be added to your consulting toolbox. The five ‘core tools’ match with the five core parts of the Operating Model Canvas, while the ‘additional tools’ are additional maps and charts that we or others have found useful. POLISM = Processes, Organization, Locations, Information, Suppliers, Management System. Rod King “would have preferred use of the acronym, SOMLIP, which starts with suppliers and ends with process” in his review of the book on his LinkedIn Pulse. 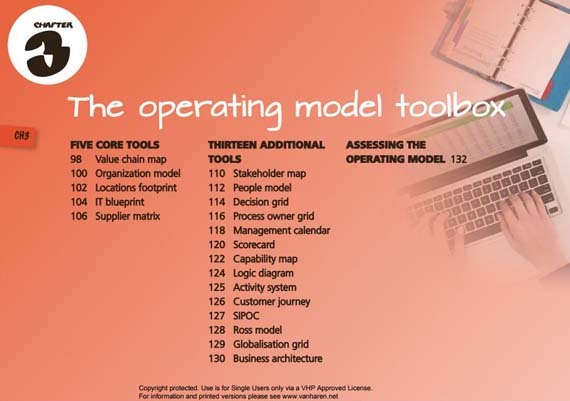 In addition to these core tools, the authors have identified 13 other useful tools that help with designing new operating models for a business. For example think about a stakeholder- and capability map, a process owner or globalization grid a logic diagram or a scorecard. 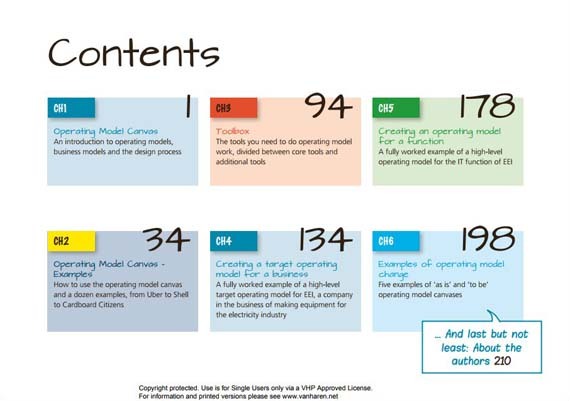 On page 109 you see how the additional tools fit in the different blocks of the operating model canvas. One of the main questions I had when hearing the book title is how the operating model canvas relates to the Business Model canvas from Osterwalder et al. In other words, the Operating Model Canvas is a plugin for the Business Model Canvas that enhances this canvas in multiple ways. In addition the Value Proposition Design book and its canvas helps you to understand the customer front-end of the business model canvas. So again I would like to emphasize there is family of books and tools that are extremely valuable to innovate (different parts of) your business. 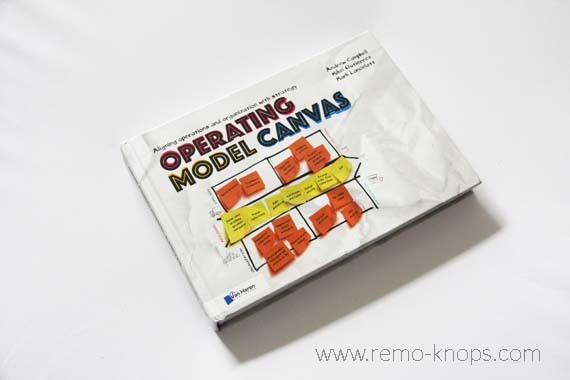 Yes, the Operating Model Canvas book is certainly an excellent book for business analysts, although this role is not specifically mentioned as target audience on the “Operating Model Canvas – In 3 minutes” page on the Van Haren Publishing website. In addition I would argue that the Operating Model Canvas toolbox has such an interesting set of tools, that is valuable for business analysts. Stakeholder maps, customer journeys, process owner grids and people models or the capability map are useful tools in the Business Analysis context. More of the models can be mapped against the IIBA Competency Model for Business Analysis. Ashridge Business School offers a course on Designing Operating Models if you want to gain even more experience from the authors. Such courses can be extremely valuable. Looking back … I was fortunate learn directly from some bright people during a number of workshops and business courses. One of the outliners was the Masterclass Corporate Entrepreneurship & Open Innovation with Professor Henry Chesbrough (Berkeley)and Kenneth Morse (MIT). Andrew Campbell, Mikel Guttierrez, Mark Lancelott have done an excellent job with their book Operating Model Canvas. Like Patrick van der Pijl summarized in the foreword: “The Operating Model Canvas” perfectly fits into the family of books Business Model Generation, Value Proposition Design, Design a Better Business (and Business Model You! )” All books share an easy to consume format, while having a good mix of scientific roots and practical examples and consultancy models. I would put it even more black and white. The most value you can gain is from the combination of the books Business Model Generation, Value Proposition Design, Design a Better Business and the Operating Model Canvas. The Operating Model Canvas is a book for every professional that is interested in business design, business models, business model innovation and entrepreneurship. There is a long list of potential roles that are the intended target audience on the Van Haren Publishing website. 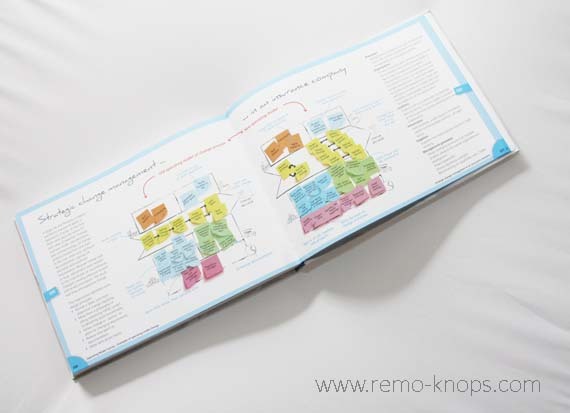 The price-point of the book is around E40,- which is fair for a high quality hardcover version. The book Operating Model Canvas is published in March 2017 by Van Haren Publishing, who are also in the book as an Operating Model Example. You can order the book directly from the Van Haren Publishing web-shop. 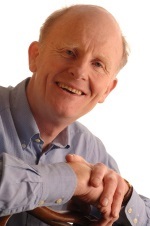 The Operating Model Canvas book and Course on the Ashridge Business School is the work of smart and experienced people. However each of the authors has a different background and work experience that has contributed to an excellent result. Hey!, I found this information for you: "Operating Model Canvas book review – Andrew Campbell, Mikel Gutierrez, Mark Lancelott". 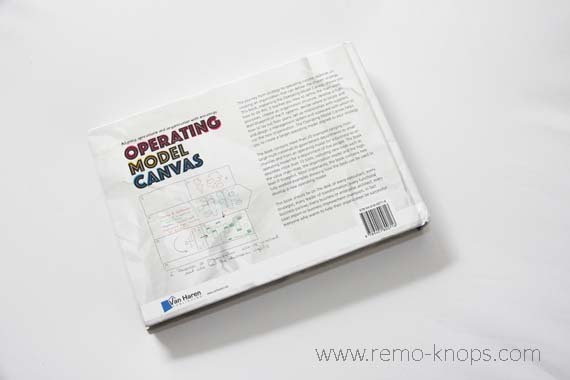 Here is the website link: https://www.remo-knops.com/7094/operating-model-canvas-review-andrew-campbell-guttierrez-lancelott/. Thank you.